Class pack provides an environmentally friendly way for children to learn. Dry-erase surface lets students write, wipe off and reuse with no waste. 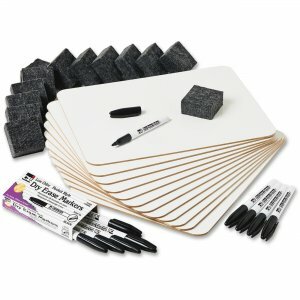 Classroom set includes magnetic lap boards that are dual-sided; dry-erase markers; and multipurpose erasers.